If you want to bring the ultimate party inflatable experience to your next event, you’re in luck: our Retro Combo Dry Slide is the perfect combination of bounce house and slide! This one is decorated in retro colors, including bright greens, yellows, and reds, and stands over 13’ tall! 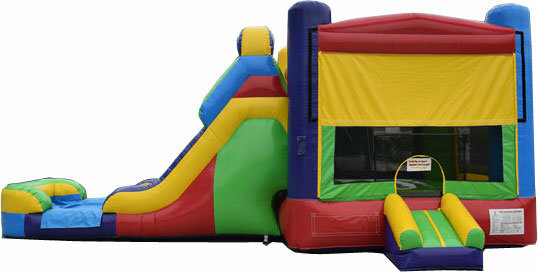 The bounce house features a safety step, an outside hoop, and large windows on all sides, and the attached slide. if you are wanting to add water to your slide please reserve our Retro Combo Wet Slide. Thank you!